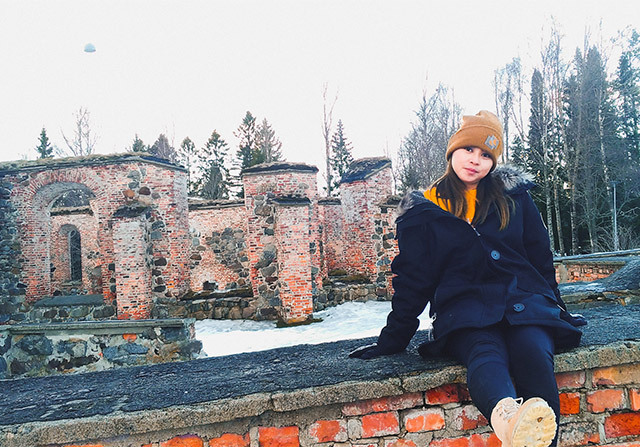 Proof that you don’t always have to take the path that seems to stretch out in front of you: This 27-year-old architect and real estate broker who, upon moving to Finland, finally got to chase her childhood dream. 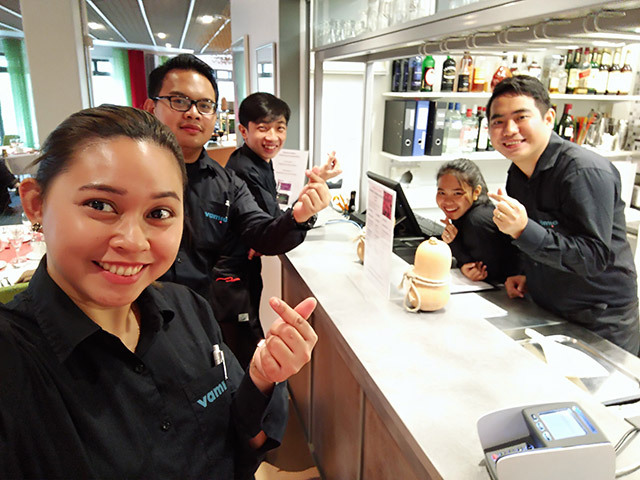 Kimberly Bonghanoy-Eria, originally from Davao City, is now based in Vaasa in Finland, a university city four hours north of Helsinki that attracts a lot of foreign exchange students. There, the Pinay architect lives with and attends a three-year international cook programme with her husband Maki. Kim had always wanted to be a chef since she was in grade school, but her parents discouraged her from pursuing it as a career because they thought that taking up HRM would lead her to minimum-wage jobs, and that culinary school would cost too much. She studied architecture instead, and as she had gone to UP Mindanao, ended up helping her parents cut down on tuition costs, too. After passing the architecture board exam, Kim landed a stable job as a design officer at a major retail store. Even though she had come to love the field she had found herself in, the dream of becoming a chef continued to linger at the back of her mind. After Kim and Maki tied the knot in 2017, Maki’s sister, herself based in Vaasa, brought up the idea of them coming over to study. Kim remembered that long-held dream, and jumped at the chance. 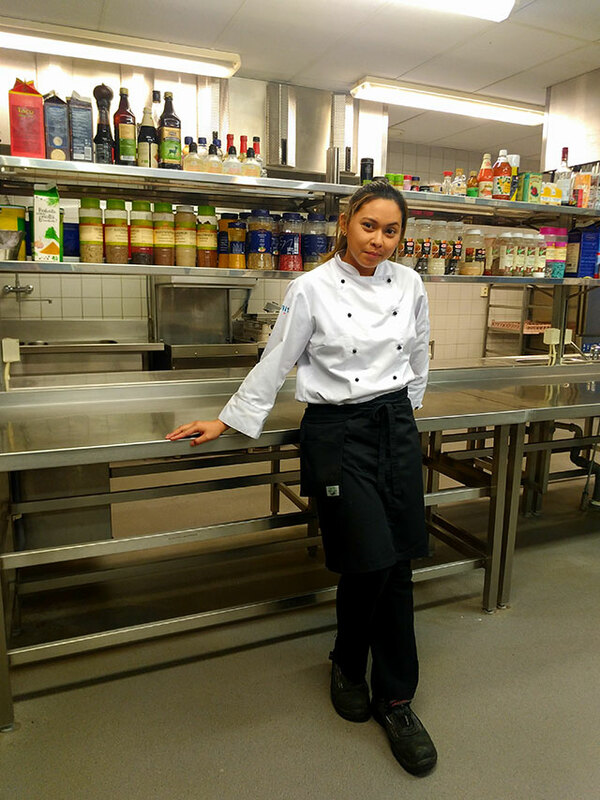 Kim applied for the international cook programme offered by Vamia, a vocational school in Vaasa. Out of 200 applicants all over the world, she was one of 60 people accepted to the programme, and one of 29 who actually pursued it once it started in August 2018. While she had to apply for her student visa in Kuala Lumpur—at the time, there was no Finnish embassy in Manila—overall, the process was quite easy, as she had acceptance papers from the school to present and enough show money to prove that she could foot her expenses as a student for a year. But everything else upon her arrival would take some getting used to. 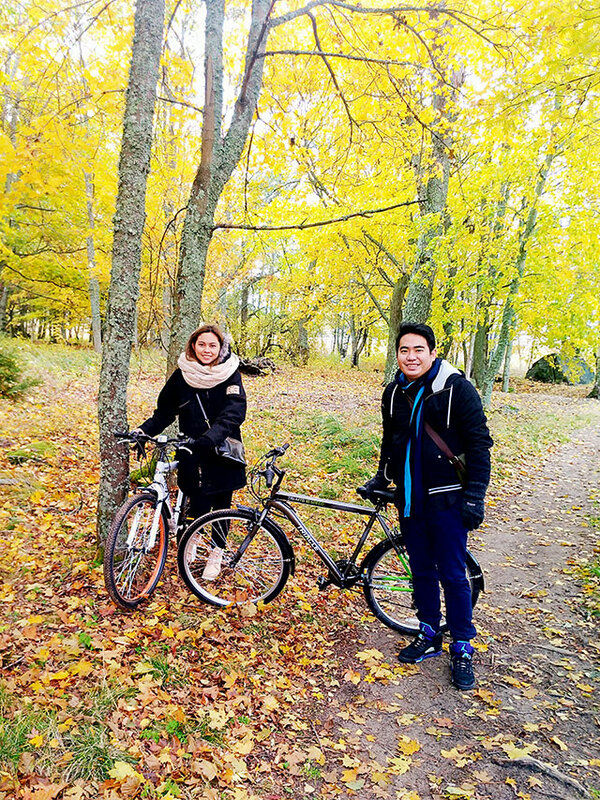 As soon as Kim and Maki stepped off the plane in Vaasa in August 2018, they were greeted by 20-degree weather—the kind of weather they only experienced during rainy season in the Philippines, whereas in Finland, that was how summertime felt. While they basked in bright summer days that seemed to go on and on as the sun didn’t set until 9:00 p.m., they also shivered through the winter days that followed when snow fell, cold winds blew, temperatures dropped to -20°C, and the sun came out only four to five hours a day. “In Finland, there’s a saying that goes, ‘There is no bad weather in Finland—only bad clothes,’” Kim shares. “No matter how thickly we were dressed, it was always too cold and our faces and hands would almost freeze to death.” But this hardy Pinay has learned to do as the Finnish do: Pile on three to four layers of clothing, have sauna parties at home on weekends, and even dive in the snow straight from the sauna—an actual thing Finns like to do! 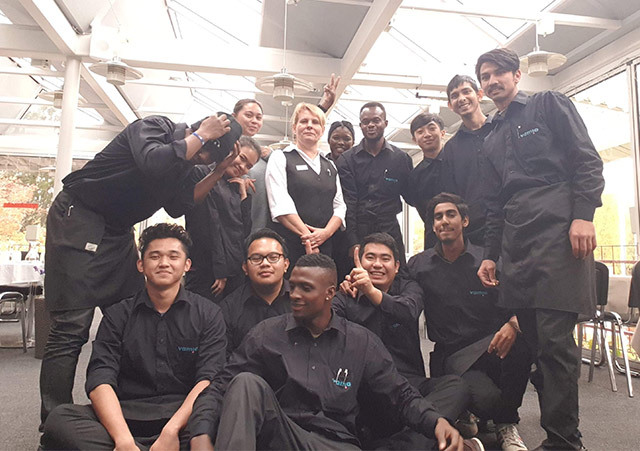 Now, Kim is about to finish her first year at the cook programme at Vamia, where she is joined by other international students—half of them Filipino, the other half from Nepal, Bangladesh, Pakistan, Nigeria, Ghana, Kenya, and Cameroon. 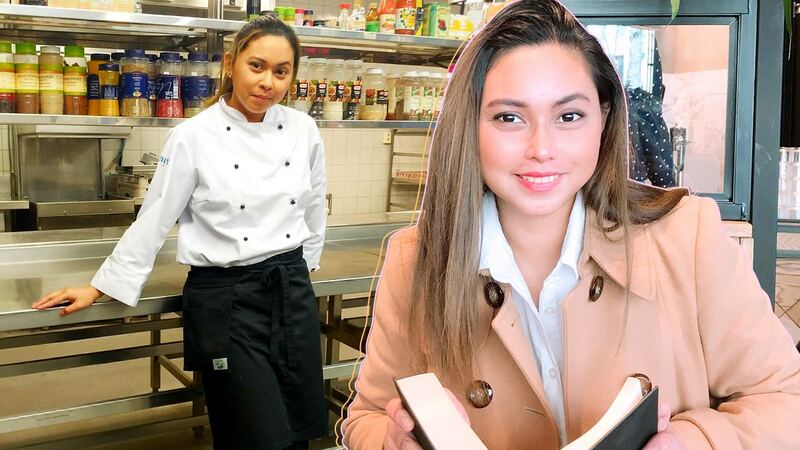 Aside from cooking lessons, she takes part in waitering lessons, language lessons (Finnish and Swedish—Finland was once under Swedish rule), and bartending, with most of the lessons involving work practice at actual restaurants. Her school has a lunch restaurant run by the students, who serve salad buffet and course meals to 200 to 300 customers daily. While education in Finland is free, Kim hustles before school and on weekends to support herself. She works five times a week as an office cleaner; on weekends, she wears another hat as a waiter at a local pub. She works five times a week as an office cleaner; on weekends, she wears another hat as a waiter at a local pub. Here, Kim takes us through a typical day in her life as an architect-turned-aspiring-chef. 5:30 a.m. – 7:30 a.m. – I work as a part-time office cleaner during this time. I go on the 5 km trip by bike; in the winter, this is quite challenging since the roads are frozen and slippery. Many times, I have fallen off my bike, and there are days when I feel like crying from the cold and the tiredness of waking up too early. Good thing my brother-in-law lets us use their car so it has become easier now. 8:00 a.m. – 2:00 p.m. – In school, we have cooking classes or a day doing waitering service at the school restaurant; or normal theory classes on special diet, nutrition, or hygiene; or Finnish or Swedish language classes. We also have P.E. classes where we get to try bowling, floorball, basketball, volleyball, soccer, baseball, and swimming. We usually have staff lunches when we work at the restaurant kitchen; during our cooking classes, since we prepare a full-course meal, we get to eat what we cook. But on theory class days, we get to eat in the school cafeteria along with other students. A typical Finnish cafeteria meal consists of milk, salad, bread, and main course (usually salmon and potatoes), served buffet-style. 3:00 p.m. – 5:00 p.m. – School and working life in Finland are a bit laid-back compared to those in the Philippines. Normal work or school hours are usually from 8:00 a.m. to 3:00 p.m., so you have a lot of time to spare for your recreational activities, or even start a new hobby if you like. Last autumn, I started photography as a hobby. My hubby and I would go on biking trails by the forest or by the lake, or sometimes we would take a walk in the neighborhood. The city is a typical postcard European city with Neo-Renaissance and Jugendstil buildings and tall Gothic or Baroque churches dating back to the 18th century. 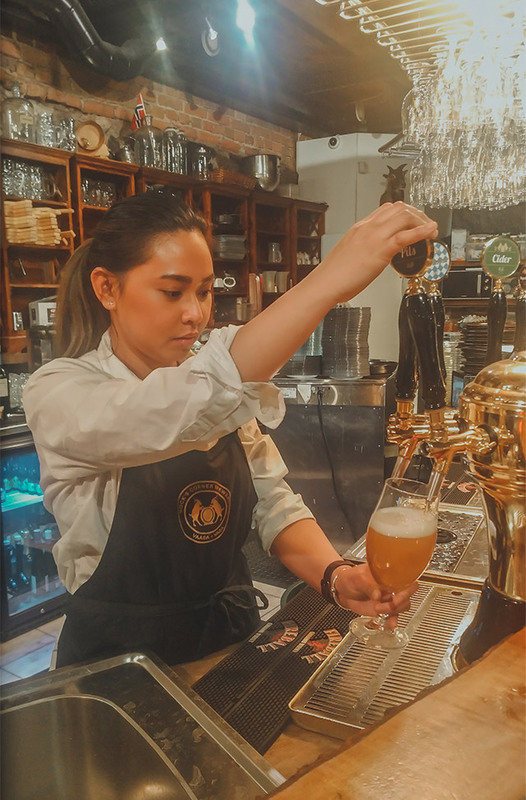 6:00 p.m. – 12:00 a.m. – Occasionally, usually on weekends, I work evening shifts as a waitress at a local pub and brewery. That way I get to earn my allowance money, interact with the locals, and learn more about Finnish culture and language. I also get to have firsthand experience in the restaurant scene and get to use what I learned in school. When I’m not at work, I usually chill at home with a glass of wine, or have a couple of beers in our sauna, and jump in the snow right after! The Finns love their saunas, so much so that every apartment building has a sauna, and even some apartments have their own private sauna. Bonding with Finns also means sauna and beers. Sometimes, being here still feels like a dream, and I have to tell myself that I am really living this dream. After eight months here, it still feels new, but now I get to admire all the things I see here with a bit of familiarity.